Climate is dry and this south area of Monte is sometimes called wild nature as many places nearby are still intact. 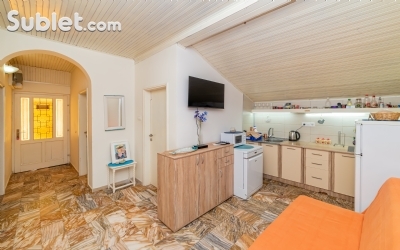 Recently renovated (2015) sea view apartment with a private balcony, just a short walk from the beach. 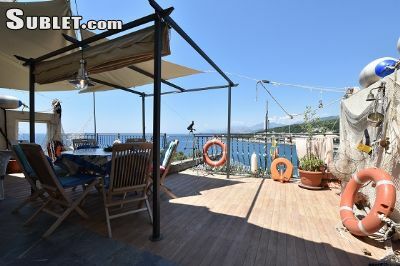 The house in which this apartment is located, has a prime location just three minutes walk from the beach and offers a panoramic view. This building is the first house that was built in Utjeha, and it is therefore for the owner, who lives on the ground floor, of course, associated with many wonderful memories. The small resort Utjeha is between the two cities Bar and Ulcinj and is easily accessible via the Adriatic coastal road.? 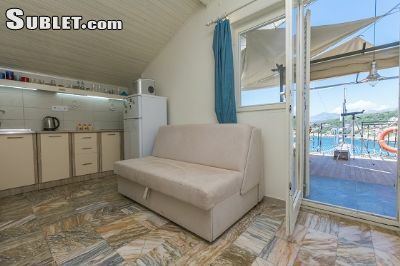 The 100 square meter apartment with a separate entrance and a sea view on the first floor. It was recently renovated in 2015 and can accommodate eight people. In the three bedrooms you have a double bed (160 x 200 cm) in the first and each two single beds (90 x 200 cm) in the second and third rooms. Two more sleeps offers the sofa bed (140 x 200 cm) in the living room, which is also equipped with air conditioning and cable TV. 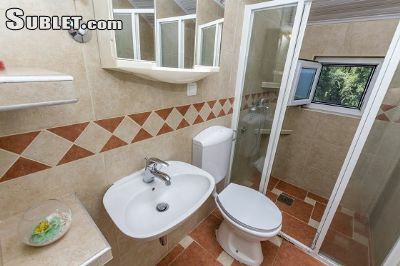 The kitchen has a dining area and is furnished with a gas stove, mini oven, refrigerator, microwave, toaster and kettle. The bathroom has a shower, toilet and hair dryer.? 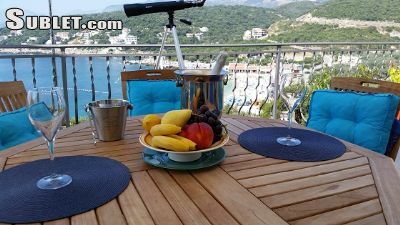 The apartment has its own furnished balcony with an unobstructed view of the sea. Before the house there is a small garden with Mediterranean plants and a fig tree. Behind the house there is a free private parking. The garden and the barbecue are shared with the landlord. The property is completely fenced.? The toll-free Wi-Fi connection can also be used on the balcony.